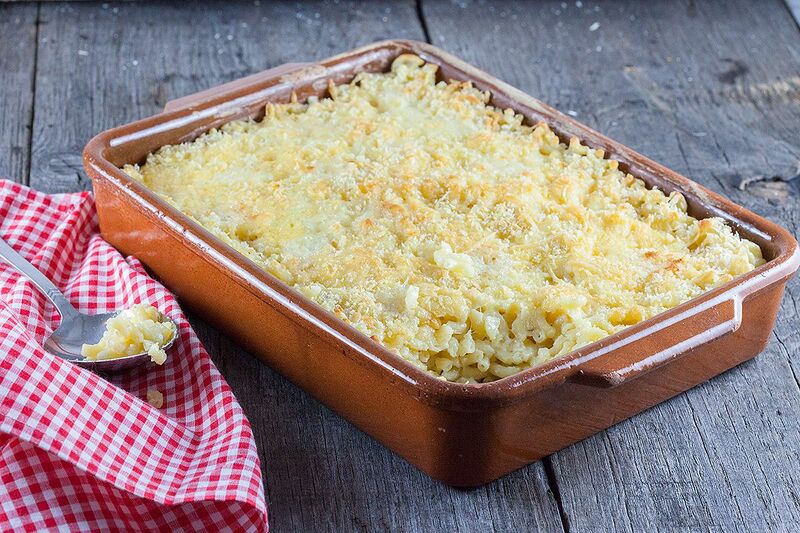 Macaroni and cheese is awesome, but creating an extra crispy crust on top in the oven is even better. I know you want to dig in right now! 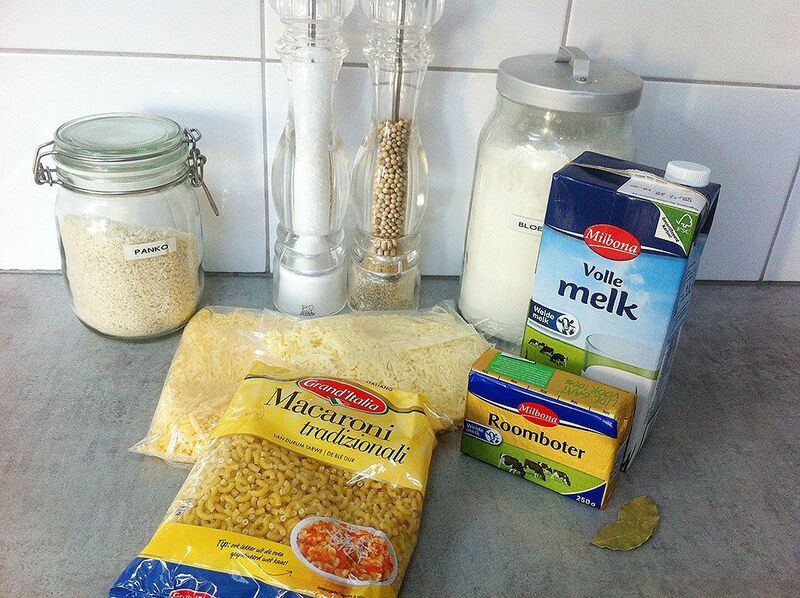 COOK the macaroni according to the package, in water with salt, or use vegetable stock for extra flavor. Meanwhile melt 40 gram of butter in the medium-sized pan on medium high heat. When the butter stops to bubble, add the flour and mix well. Let it cook for about 2 minutes. REMOVE from the heat and set aside. ADD milk and bay leaves in the small saucepan and bring to a boil. Let the milk simmer for a few minutes on low heat. When the milk is hot you can remove the bay leaves. POUR the milk bit by bit to the butter and flour mixture (this is called a roux) and mix well using a whisk to prevent it from creating lumps. You’ll notice the mixture will thicken after about 1 to 2 minutes. MIX in a 100 gram of grated cheese and mix again until smooth. Season with pepper and salt. DRAIN the macaroni and mix the sauce with the cooked macaroni. Again taste, and if needed, add extra pepper or salt. 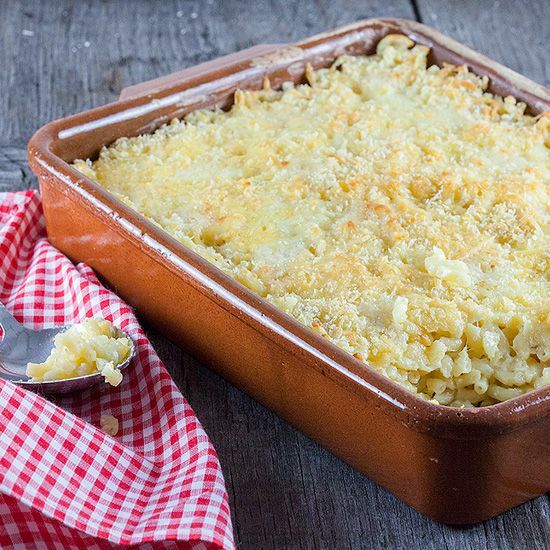 DIVIDE the macaroni over the oven dish. 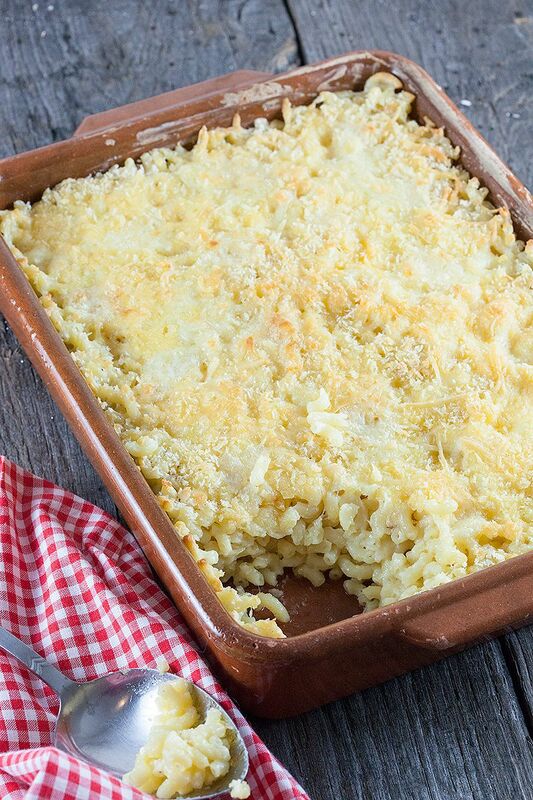 DIVIDE the rest of the grated cheese on top. Top it off with panko and a few small cubes of butter here and there. BAKE in the oven for about 20 minutes, or until the cheese has a beautiful golden brown color to it. Enjoy!